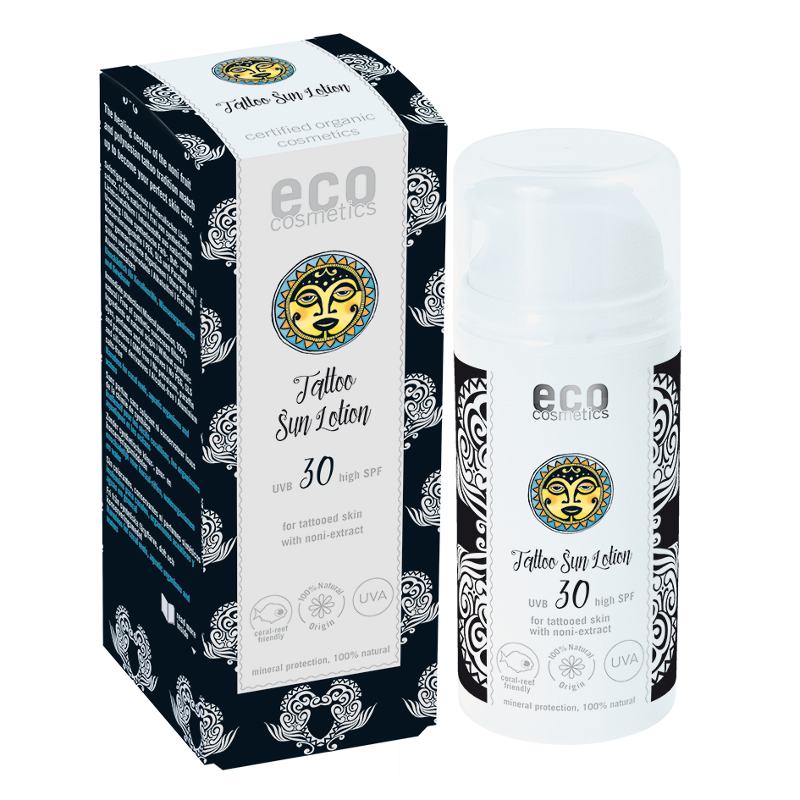 A specialist sun lotion for your tattoos with SPF30. 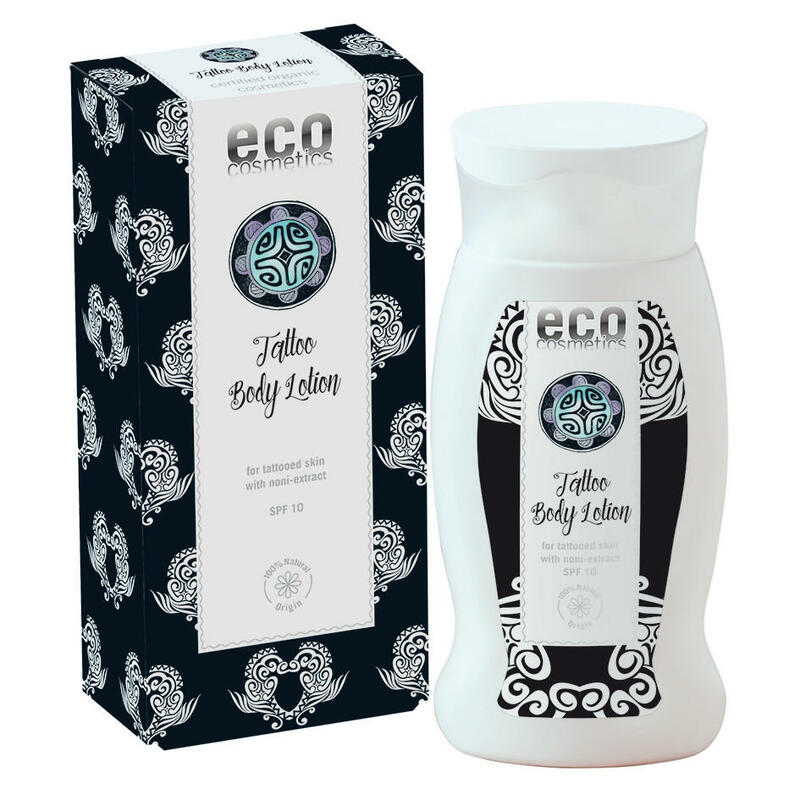 Eco cosmetics have developed a range of products with noni extract which help protect the colour and vibrancy of your tattoos from fading through sun exposure. Tattoo sun lotion also contains nourishing and protecting pomegranate. This lotion is reef friendly, water resistant, vegan and provides immediate sun protection due to the natural minerals of Titanium dioxide and Zinc Oxide so you don't have to wait 20-30 minutes before sun exposure after applying. To use; Apply generously and repeatedly before sunbathing and after spending time in water. Avoid intensive midday sun. Discover more about eco cosmetics. Packaging; Recyclable plastic bottle and card packaging. Check Local Recycling for plastic cap.